Timothee Chalamet flashes a smile as he arrives at the BAFTA Tea Party on Saturday afternoon (January 5) at the Four Seasons Hotel in Beverly Hills, Calif. 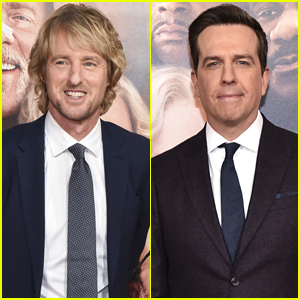 The 23-year-old actor kept things casual in a blue and gray sweater as he was joined at the event by Viggo Mortensen and John David Washington. Other stars at the event included Willem Dafoe and wife Giada Colagrande, Mark Ronson, Billy Zane, Troye Sivan, and Lakeith Stanfield. John‘s BlacKkKlansman co-stars Adam Driver and Laura Harrier along with director Spike Lee were also in attendance. 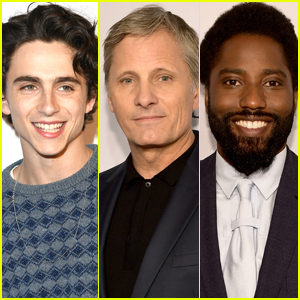 Timothee, Viggo, John, Troye, Willem, Mark, and Spike are all nominated for Globes at the awards show this weekend. Tune in on Sunday to see who wins! Ben Stiller happily waves to photographers as he hits the red carpet at the MIPCOM 2018 Opening Ceremony held on Monday (October 15) in Cannes, France. The 52-year-old actor-director was joined at the event by Les Misérables‘ Dominic West, Ellie Bamber and David Oyelowo, Ryan Tedder, The Walking Dead‘s Colman Domingo, and Curfew stars Malachi Kirby, Sean Bean, Phoebe Fox and Billy Zane. MIPCOM is an annual trade show geared towards the television industry, primarily attended by representatives of television studios and broadcasters, who use the event as a marketplace to buy and sell new programmes and formats for international distribution, as well as celebrities to promote programming. 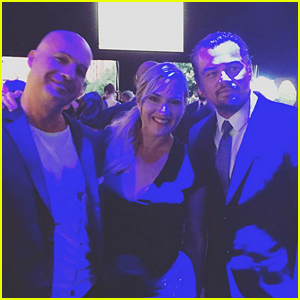 Leonardo DiCaprio, Kate Winslet, & Billy Zane Have a 'Titanic' Reunion at Charity Gala! The stars of Titanic had a mini reunion at the Leonardo DiCaprio Foundation Gala! 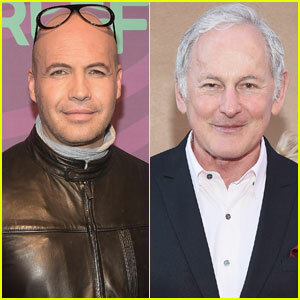 Billy Zane took to Instagram to share a pic of himself with his former co-stars Kate Winslet and Leonardo DiCaprio while they all attended Leo’s charity event to fight climate change. “Gangs back together. Now we’re saving icebergs. Go figure.. @katewinsletofficial @leonardodicaprio @leonardodicapriofdn,” Billy captioned the below pic. In case you missed it, Leo and Kate are also auctioning off a private dinner with them to support his foundation.